Mobility in Life Applications - M.I.L. Team - 3D+ and more..
All our available apps for Windows Phones 7, 7.8, 8, 8.1 or Windows Mobile 10 are displayed here. 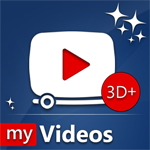 The famous Media Player with 3D effects available for Windows Phones 7, Windows Phone 8.1 and Windows Mobile 10. Over 1,8 million users have downloaded. 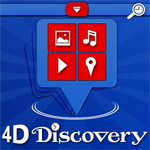 The 4D Discovery application for Windows Phone is a 4D Augmented Reality Browser that brings for the first time together geolocation Web data in a unique A.R. way. It’s an effort to bring to you a really innovative, exciting A.R. app. 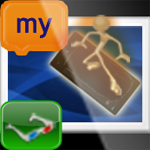 Capture wonderful true 3D photos with your phone with 2 clicks! View your photos with anaglyph 3D glasses. Total, 6 different types of anaglyph glasses are supported. Turn yourself and your friends into pop art instantly! With Warholizing Pop Art you can turn every picture in your phone into an Andy Warhol painting. Create a poster of your choise with your own photos in the style of Andy Warhol's famous paintings of Marilyn Monroe: Just choose a photo, select a poster type and add one of his famous quotes to the image too.